Op-ed: Energy Efficiency – let’s do it! David Berman is the Head of Group Public Affairs at Veolia. French-German lawyer by training, he has been following the development of European environmental and energy regulatory frameworks for the last 10 years. The need for putting our efforts into increased energy efficiency is more urgent than ever: the European Union is struggling to reach its own climate and energy objectives; it has to adjust its short term and long-term policy to be compatible with the Paris agreement; it aims at strengthening its energy security. At the eve of the final negotiations on the ‘Clean Energy package for all’, Member States have the responsibility to make sure the EU gets on a path towards decarbonisation. This opportunity should not be missed. We see have a unique take on the importance of energy efficiency not only for our activities but for its wider societal, economic and environmental benefits. Energy efficiency is a resource to be harvested across the entire energy chain from generation through transmission and distribution to consumption. For these reasons, together with a group of 75 leading businesses and associations, Veolia has recently signed a call for a cost-effective energy efficiency target of 40% by 2030 with an extension of 1.5% cumulative annual energy savings obligations beyond 2020 (with a 2050 perspective) to be inscribed in the final text of the Energy Efficiency Directive. Member States have in their best interest to accept the Parliament’s option of a 34% and ideally binding energy efficiency target for 2030. These objectives would radically strengthen investor confidence and channel private investments towards large-scale renovation and conservation projects. They would also provide a guarantee to EU citizens that right policies will be eventually put in place to help EU dwindle down its CO2 emissions. Targets are quintessential, but in case of energy efficiency they are optimal only if expressed both in primary and final energy. So far, any sort of public debate on energy efficiency has systematically been focused on savings made by the end-users, whether in buildings or in consumer products like TV sets. While it is essential to reduce final energy consumption, in order to achieve the actual energy efficiency, we should imperatively be looking at ways to limit losses that occur before energy (heat and/electricity) is delivered to customers. This is about optimizing the way we generate, extract, convert, distribute and transmit energy, in order to reduce to maximum energy losses. To give an example, the amount of energy lost in the production and distribution of electricity reaches an average of 60%. The EU project Heat Roadmap Europe estimates that there is more heat wasted during electricity generation than is required to heat all buildings on our continent. 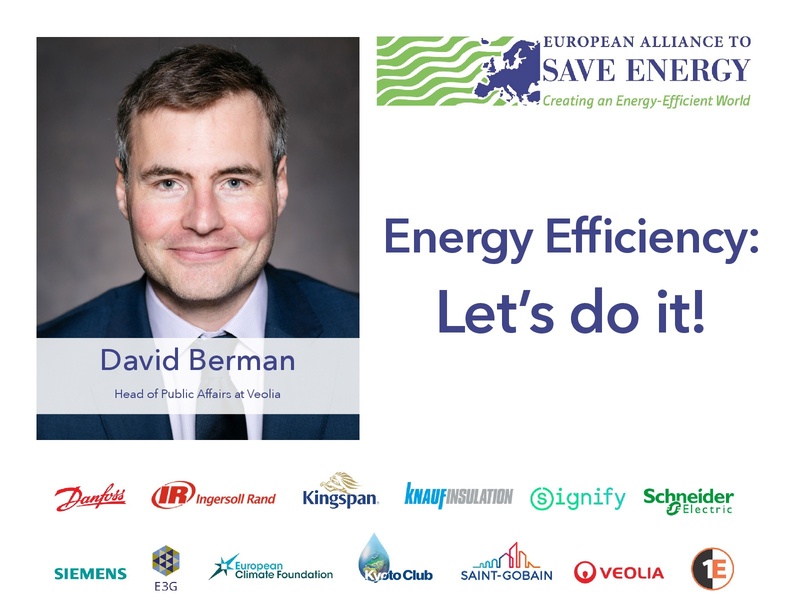 In order to help improve energy efficiency across the entire energy chain, we support the European Parliament to express the EU energy efficiency targets in both primary and final energy (leaving the Member States the choice between those two options would not allow for proper benchmark and results analysis). Last but not least, we need to make everyone aware of the dangers that the ‘energy efficiency first’ principle remains just a slogan. Energy efficiency first is actually a simple rule that when consistently applied, will ensure that all investing and planning decisions are based on cost-benefit analysis, that all options available are carefully weighed, and that those solutions that will avoid stranded assets and excess of energy capacities will be privileged. It is nothing more than common sense and application of a basic economic matrix and should not be considered a constraint to Member States’ future choices. Not only we need the ‘Energy Efficiency first’ principle to structure the Energy Efficiency Directive up to 2030, but we also have to have it applied across the entire Clean Energy Package. Enshrining this principle in both the Energy Union Governance Regulation and the Renewables Directive will enable countries to maximise their energy gains while fostering a growing integration of renewable energy sources such as wind, solar and hydro, reaping all the benefits of an integrated approach to energy planning and an effective sector coupling. Before the final discussions on the EU Clean Energy Package are over, we have a once-in-a-decade window of opportunity to make Energy Efficiency a centrepiece of a successful transition towards decarbonized future in Europe. Let’s do it! For years now, Veolia has been providing resource (water, materials and energy) optimization solutions for municipalities and industries across Europe. The group carries energy efficiency at the heart of its activities, as a part of its circular economy paradigm. Through energy performance contracts, we commit to optimize our clients’ production efficiency, energy consumption, and energy mix, deriving part of the agreed remuneration on results-based standards. We work both on the energy supply side of buildings, with our boiler and cogeneration installations, and on the demand side, through tailor-made solutions enhancing the way buildings operate. Committed to its core missions, we stand ready to help industries, cities and people achieve an optimized decarbonisation of the European economy through increased energy savings.